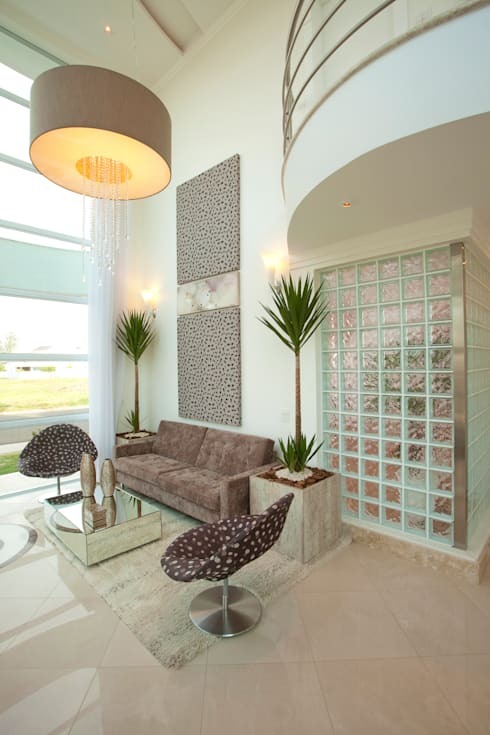 Glass blocks or glass bricks are one of the most beautiful ways to illuminate an interior. While they were once strictly associated with architecture from the 1980s, they are increasingly used in contemporary building designs. The resurgence in glass blocks has partially come about because of a renewed focus on environmentally sound materials. Glass blocks are made from recycled glass and are very durable and easy to clean. But their biggest drawing power is that they allow light to pour into a room without sacrificing privacy. In the past, they often looked a little severe or utilitarian—after all, they were originally used in factories. But these days they are available in a huge variety of shapes, irregular and colours. 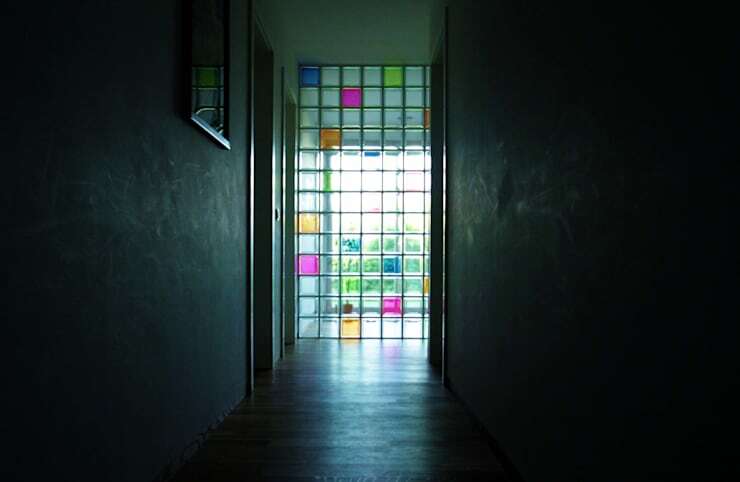 You can even use them to create beautiful, stained glass walls. So let's get on with exploring a few practical and beautiful interiors. We will cover the aesthetic benefits of this wonderful building material and explore a few practical considerations. Enjoy! 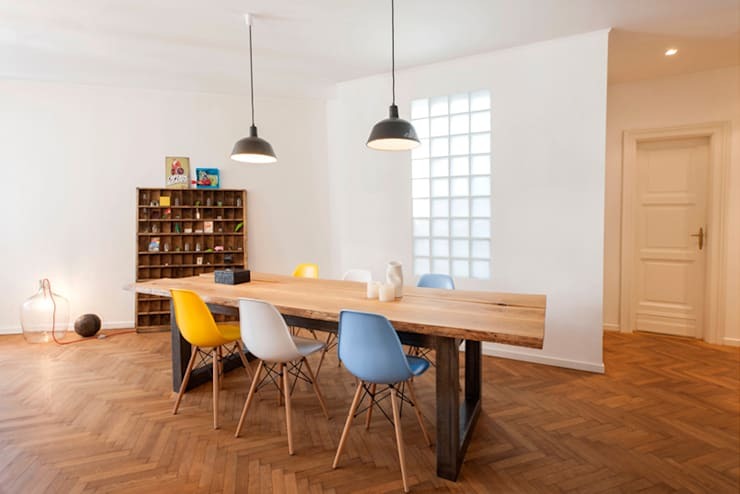 Almost every home could do with a little extra indoor illumination. But what happens when you receive the best sunlight on one of the least private part of your home—the entrance? Well, here we can see how a narrow, tall window of glass bricks can be used. The smoky finish of the glass provides bucketloads of privacy and the grid-like look works perfectly within this simple, minimalist decor. Tip: glass bricks are rarely load bearing. This hallway would be incredibly dark without this internal glass brick wall. It's a far cheaper alternative to traditionally stained glass and we think it looks beautiful. 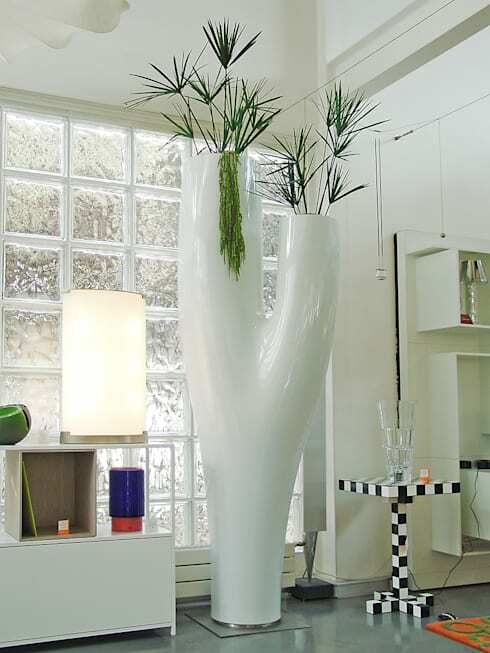 It's far less delicate than glass panes and we think it brings a more modern, contemporary look to the home. An internal glass brick wall can also be a great way to divide open plan living areas without sacrificing the natural flow of light. Note how the bricks cover the entire wall here and how the external illumination really highlights the lovely coloured bricks. If you are interested, these bricks have been created by Tritschler Glasundform. Glass bricks have never really gone out of style when it comes to bathrooms. This is because they are just so great at retaining that all important privacy. They are an incredibly powerful solution to the common problem of dealing with a dark and windowless bathroom. Don't forget that they can be used as simple shower screens as well. For a really unique look, consider these quirky little round window blocks. So often we agonise over where and how to maximise the best surrounding views of our homes. 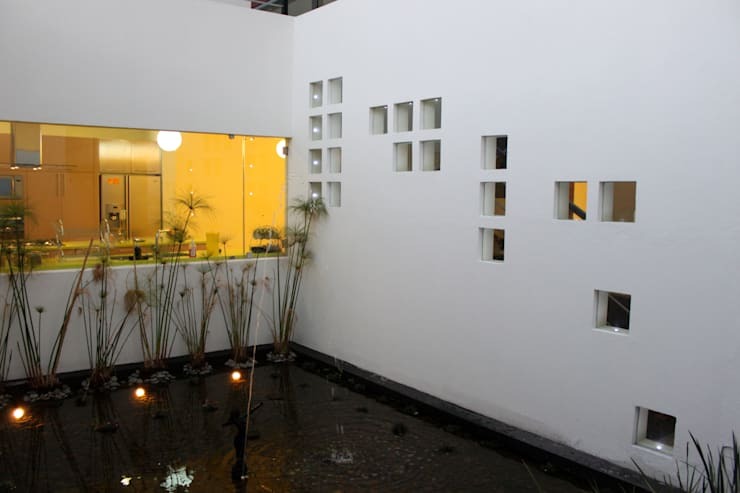 But with glass blocks, you can turn an awkward corner of your home into a light-enhancing feature. The stippled glass will transform any ugly building outlines into blurry shapes and your home will have a bright, contemporary look. Just look at this quirky interior for inspiration. If you are keen to avoid the practical and almost industrial look of a grid of glass blocks, consider a scattering of bricks like this. It's unique and imbues this internal courtyard with a lighter and perhaps more sophisticated look. Let's not forget how lovely the occasional glimpse of greenery will look from inside the home as well. This may just be an occasion to use some more transparent glass bricks.There's no reason to stick to entire walls of glass bricks. One of the prime issues affecting the value of your home is the abundance (or lack) of natural light. So consider installing some internal glass walls. 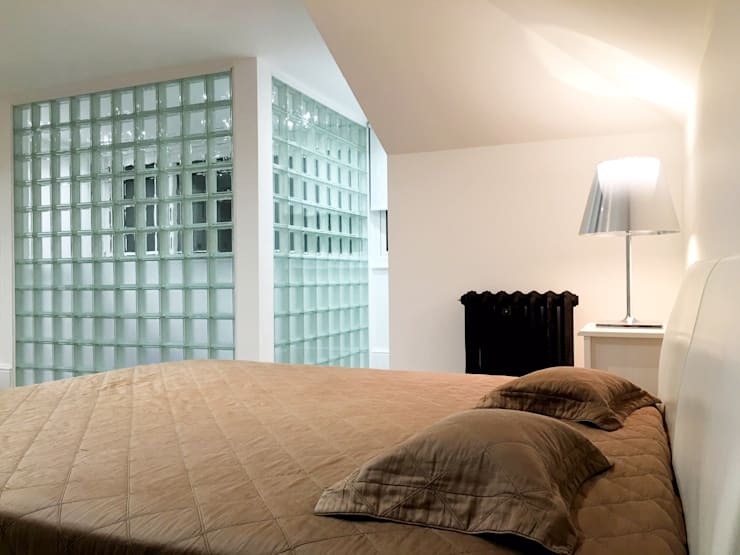 Here we can see how stylishly two types of glass bricks have been used in this contemporary bedroom. The upper levels are clear and the lower levels are frosted. In this age of post-modernism, it's not totally uncool to embrace the mixing and matching of past styles. This internal glass brick wall works perfectly against the strict grid-like decor and the almost retro mirrored coffee table. However, it is definitely softened somewhat by the almost 1960s curved mezzanine above and the bright house plants. 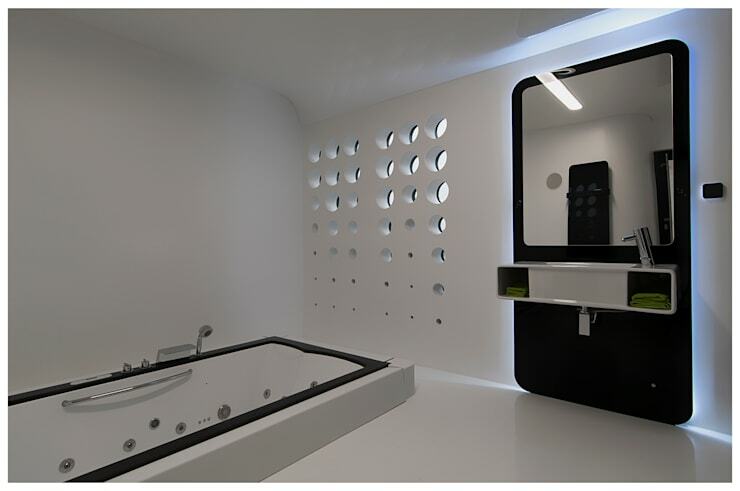 If you are rethinking your home layout, you would love this Ideabook Create a bathroom inside your bedroom! What do you think of glass bricks and blocks? Do you think they look retro?